Gathered, tufted cushions for maximum comfort. Mid-range knee tilt offers a more relaxed seating angle. Solid base offers strength and durability. Height/tilt controls and castered five-star base. Curved shirttail design with arched padded arms and gathered, tufted cushions for maximum comfort. Pneumatic seat height adjustment. Tilt, tilt tension and tilt lock controls. Mid-range knee tilt offers a more relaxed seating angle. Black split leather/mesh fabric. Five-star black base with casters. 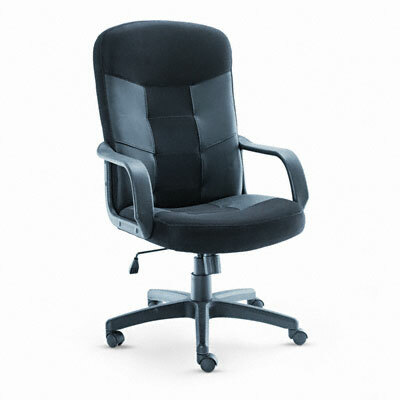 Casters supplied with the chairs are not suitable for all floor types.